The drug is the dried or fresh root, stem and leaf, or flower and fruit of Adina pilulifera (Lam.) Franch. 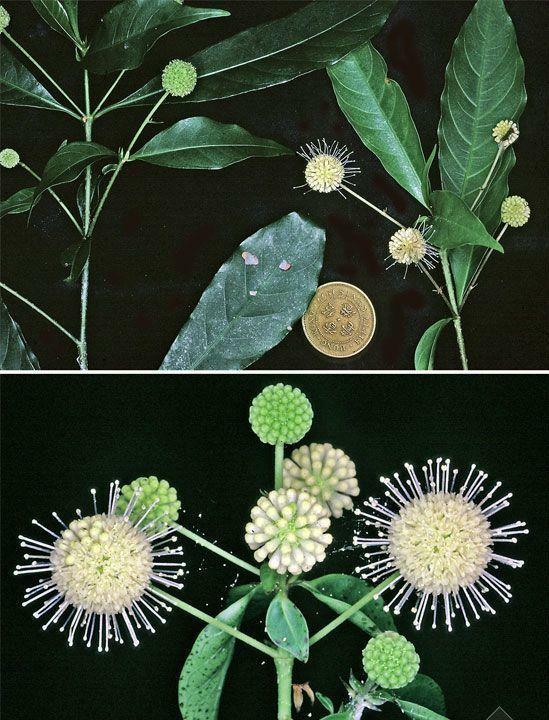 ex Drake (Family Rubiaceae), growing on hillsides, in forests, along roads and streams, and distributedin Jiangsu, Anhui, Zhejiang, Jiangxi, Fujian, Hubei, Hunan, Guangdong, Hainan, Guangxi, Guizhou and Sichuan of China. Bitter, astringent, cool; liver, spleen and large intestine meridians entered. Clear heat and eliminate dampness, disperse stasis and alleviate pain, stop bleeding and astringe wound. Dysentery, traumatic bleeding, unhealing ulcer, sores and boils, edema, eczema, enteritis.